Richmond, Virginia’s DoubleTree Hotel was the site of the September 21–23 LWML Chesapeake District Convention for the 140 attendees on “Our Journey with the Lord.” The theme was based on Revelation 22:13 (NIV), “I am the Alpha and the Omega, the First and the Last, the Beginning and the End.” Gifts from the Heart and Servant events benefitted Seminarians, Mission Opportunities Short Term (MOST) Ministries, Fisher House, Blue Ridge Women’s Center, and Orphan Grain Train. The convention opened with a communion worship service with Pastoral Counselor Rev. Dr. John Johnson serving as Proclaimer and Bible study leader. A mission goal Pledge Walk occurred on the trails of an adjacent park. 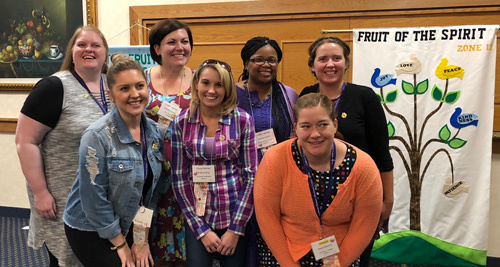 LWML Chesapeake District President Edith Collis convened the convention and directed the business of the convention including the selection of 12 mission grants totaling $54,000 and the vote for new officers. Keynote speaker, Linda Arnold co-chair of the Women’s Leadership Institute, Concordia University, Wisconsin, spoke about Jesus the great healer and barer of our scars. Representing the LWML and bringing greetings was LWML Public Relations Director Michelle Zollinger. Rev. Jacob Harris and LWML Chesapeake District Heart to Heart Sisters Coordinator Magdalene Harris reported on the district mission grant of building a medical clinic in Liberia. 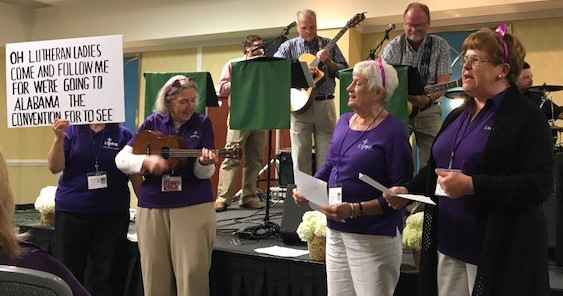 Attendees were uplifted by the Saturday evening banquet’s entertainment, Higher Praise from Trinity Lutheran Church, Richmond. LCMS Southeastern District President Rev. Dr. John Denninger served as Proclaimer in the closing worship service. Newly elected president Teresa Tester adjourned the convention. 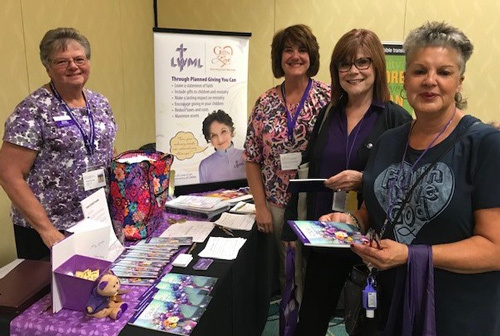 There were 160 registrants and guests at the Best Western Hotel and Conference Center, Hillside, Ill., site of the LWML Northern Illinois District (NID) convention, September 21–23. The convention theme, “The Fruit of the Spirit”, was based on Galatians 5:22–23, But the fruit of the Spirit is love, joy, peace, patience, kindness, goodness, faithfulness, gentleness, self-control; against such things there is no law. Friday Servant events included making witness bracelets and crosses for MOST Ministries. Gifts from the Heart were collected for the local Westchester food pantry. A time of fellowship followed the opening worship service. LWML NID President Barbara Belanski convened the convention and managed the business of the district including the approval of 12 mission grants totaling $120,000, bylaw changes, and the election of officers. Janice Gerzevske was elected the new LWML NID President. Rev. Dr. John Nunes and Monique Nunes served as the keynote speakers. Mission grant recipient, Rev. Dr. William H. Griffin spoke of his church’s community food pantry ministry. Representing the LWML and bringing LWML greetings was LWML Recording Secretary Ginger Starrett. Saturday dinner’s entertainment was provided by a musical group of students from Concordia University, Chicago, Illinois. Rev. Dr. Daniel Gard, President of Concordia University, Chicago addressed the convention on Sunday. LCMS NID President Rev. Dr. Allen R. Buss served as Proclaimer at the convention closing worship service. 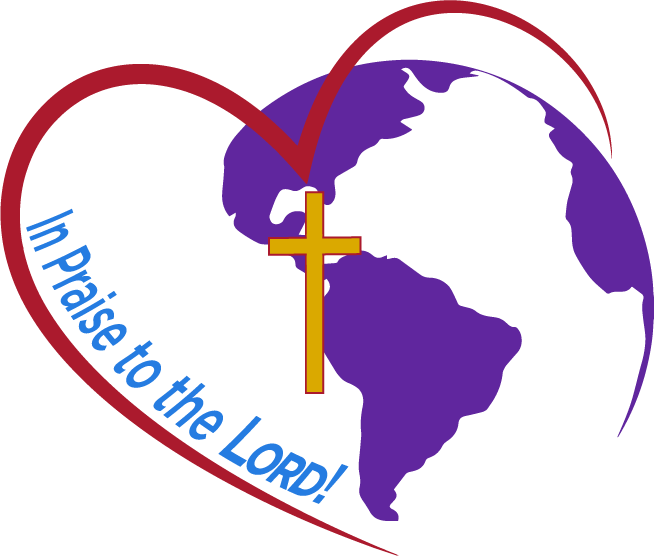 LWML 38TH BIENNIAL CONVENTION IN MOBILE, ALA.
During the convention we will have the opportunity to bring our monetary offerings in praise to the Lord. 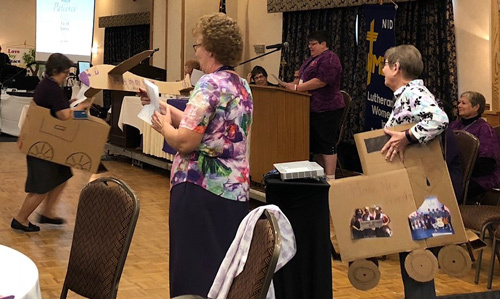 The offering received at the convention Thursday evening Communion Service is designated for the 2019–2021 LWML Mission Goal. The recipients of the other three offerings (Friday, Saturday, and Sunday) will be selected by the LWML Board of Directors in January 2019 from a slate of approved potential recipients. Be current and ready for implementation. Contact LWML Treasurer Marilyn Schroeder at marilyn.schroeder@lwml.org to submit your offering recipient proposal in resolution format by November 20, 2018. Following the 2019 LWML Convention, join your LWML family on a five-night, post-convention cruise for well-deserved rest and relaxation as well as fun and fellowship with old and new friends. Carnival Cruise Line’s Fantasy will be sailing June 24–29, 2019 out of Mobile, Ala., to Costa Maya and Cozumel! Would you like to take part in this fun getaway? Registration is now open, so book as early as possible to get the cabin you prefer. McGehee Cruise & Vacation Inc. will assist with all reservations for the cruise. Use this secure link for further information and questions!